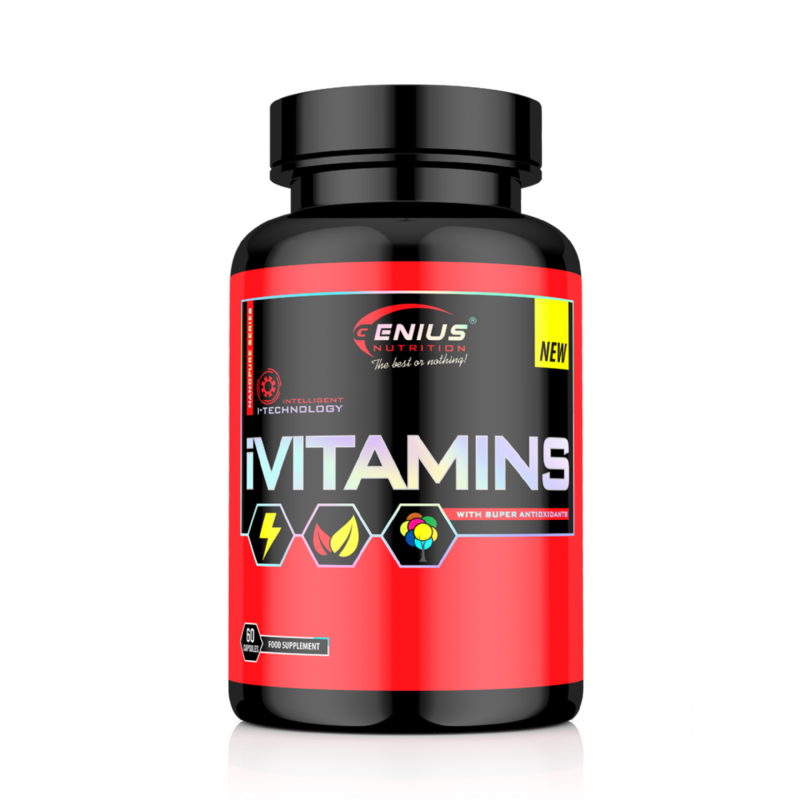 Genius Nutrition™ iVitamins offers optimal premium ingredients and precise doses of daily multi-vitamins, designed to complement the nutritional needs of a healthy and active lifestyle. iVitamins contains a comprehensive blend of essential Vitamins, Minerals, and strong Herbal complex having the aim to support key health functions such as cardiovascular health, hydration, digestion, immune support, antioxidants and muscle recovery. Vitamins and minerals play a key role in thousands of biological processes in the body. The lack of even one of them can disturb its proper functioning. iVitamins is suitable for everyone including professional athletes and individuals with active lifestyles, as well as those suffering from a deficiency of vital nutrients and microelements. 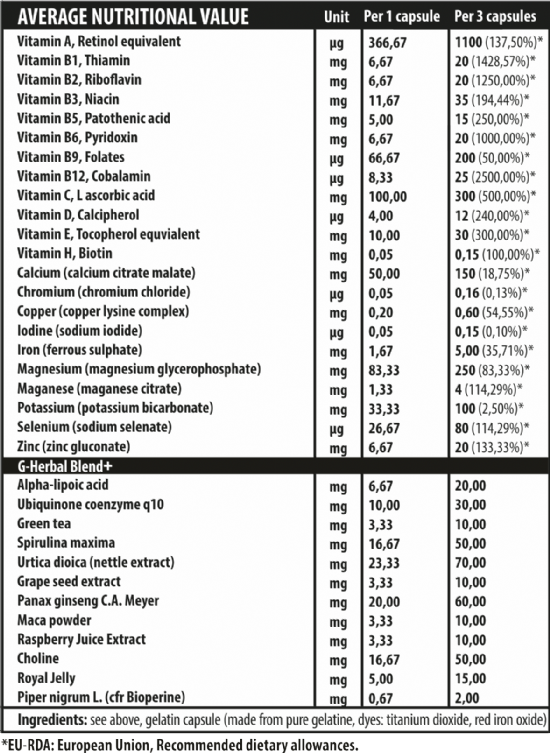 iVitamins is the best in-class solution to complete your daily needs! Take daily 2-3 capsules but not simultaneously. Take one in the morning and one in the afternoon or one in the morning, one at lunch and one at dinner, always after the meal and with a glass of water. Do not exceed recommended dosage.